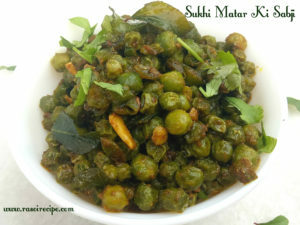 Today’s recipe is ‘ Sukhi Matar Ki Sabji ‘. 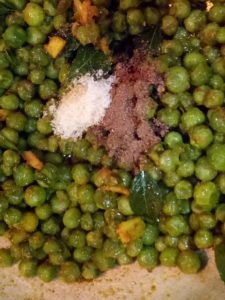 It is a recipe which very quick and easy to prepare. You can serve this dish as a side dish for lunch or dinner. 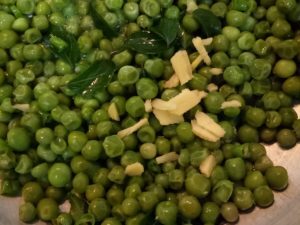 This dish can be prepared using fresh green peas or frozen peas. 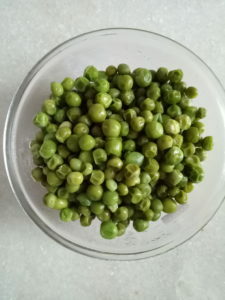 As this is not the season of green peas, I am using frozen ones, which my mother stored by blanching during green pea’s season. 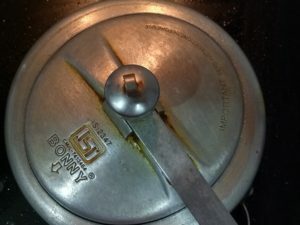 It is a very quick recipe, which will take only 15-20 mins. 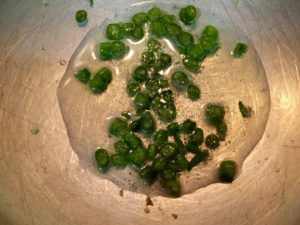 For this recipe, you can adjust all the spices according to your preferred taste. 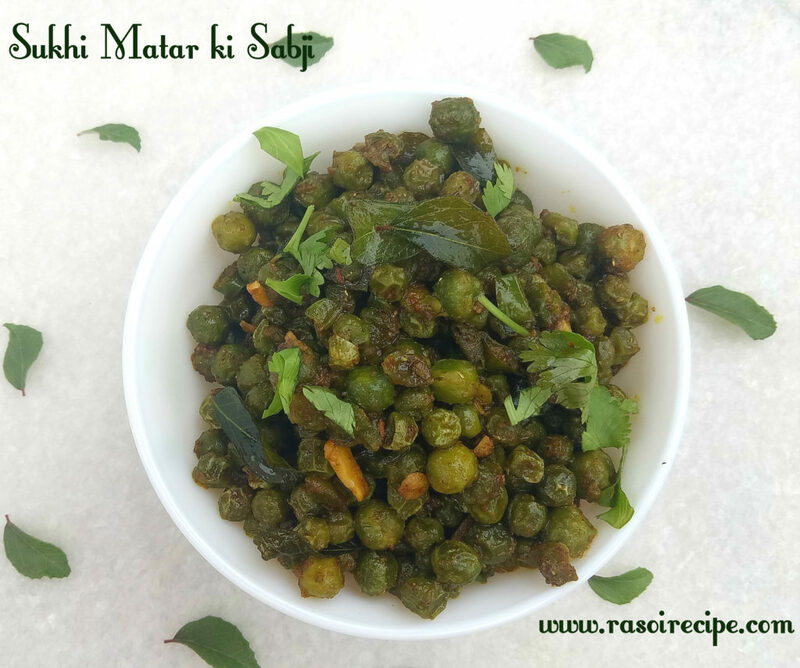 Matar ki sabzi can be served with chapati or paratha. 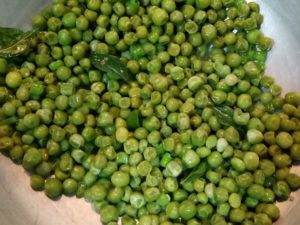 For this recipe, you will need – Green peas, ghee, green chilies, ginger and few spices. 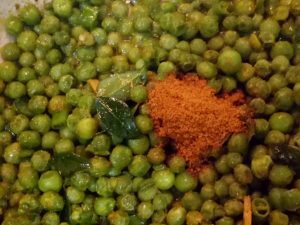 I have used amchur powder for my recipe, you can also add chaat masala instead of amchur powder. 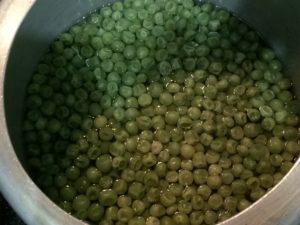 In a pressure cooker, take cook green peas and water. 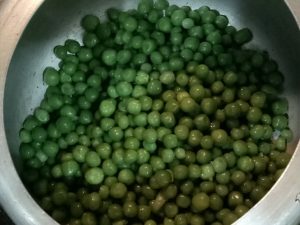 Cook green peas for 5 minutes or 6-7 whistles. 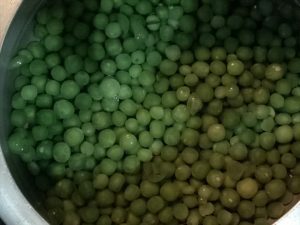 Let the pressure drop, strain green peas and keep it aside. 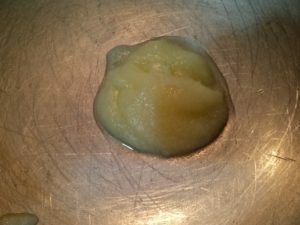 In a deep vessel, heat ghee. 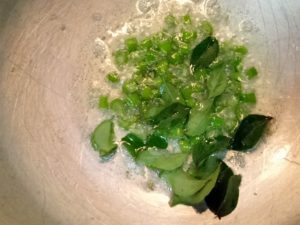 Saute green chilies and curry leaves for 1-2 minutes. 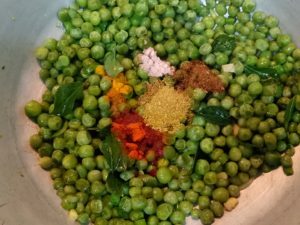 Add green peas, mix well with green chilies, curry leaves and ghee. After 3-4 mins, add chopped ginger. Mix well. Now, add red chili powder, coriander powder, black salt, roasted cumin powder, and turmeric powder. Mix well. After few minutes, add Maggi masala. Lastly, add amchur powder and salt. 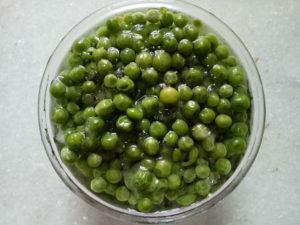 Cook till green peas start releasing ghee. 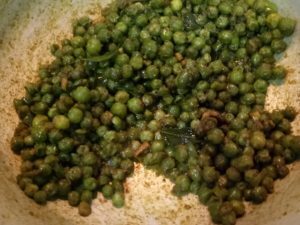 Garnish green peas with chopped coriander leaves. This is such a tasty and no-fuss spicy dish!